Welcome to Our Lady Star of the Sea Catholic School at Terrigal. 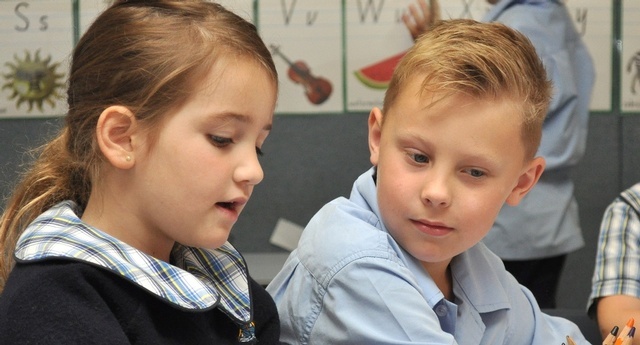 We are a three-stream Catholic school serving the parish of Terrigal and administered by Broken Bay Catholic Schools Office. Although our community has grown steadily over the years, we remain committed to ensuring a personable and loving community that underpins each family’s presence here. 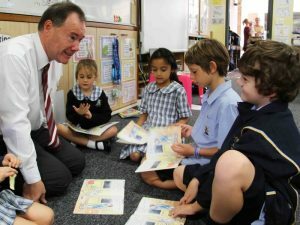 We at Our Lady Star of the Sea school are proud of our commitment to the core business of student learning. We encourage students to take responsibility for their own learning in an environment of support, nurture and partnership between teachers and parents. As we believe each student is different, we work towards establishing and then teaching towards the unique characteristics of each child. We don’t however merely measure our success in purely academic terms. Learning in our community is characterised by nurturing the growth of the whole child – mind, body and spirit. 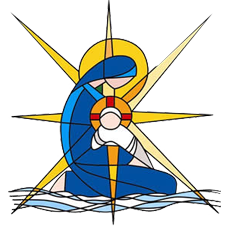 We strive to instil gospel values for our children and community, under the guidance of Mary Star of the Sea, our school and parish patroness. I warmly welcome both visitors and our own community to our website. Our site serves as a reference for the day to day running of our school and the celebration of the many special events we enjoy. More importantly though, our site will give you a snapshot of what it is that articulates who we are and what we believe.